Reference databases are by subscription, meaning the school pays a fee to use them. Stop by the library to get the username and password to obtain access from any computer with an Internet connection. Click on logo to login. 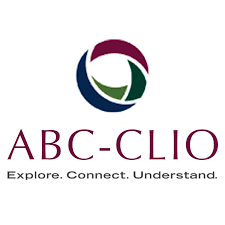 ABC-CLIO offers a wealth of social science materials. Databases include: American Government, American History, Daily Life Through History, Issues, Modern Genocide, Pop Culture Universe, The African American Experience, The American Indian Experience, The Latino American Experience, United States Geography, World At War, World Geography, World History: Ancient and Medieval Eras, World History: The Modern Era, and World Religions. Presents a broad range of scientific disciplines through extensive essays, videos, diagrams, definitions, biographies, and experiments. Wikipedia is great for quick background information, but because articles are cooperatively written and usually anonymous, it is not considered a research tool. Use Britannica for research and inclusion in works cited lists. The New York Times is available from the school only. No log in is necessary in order to browse on campus. You may register on the website if you would like to save articles. Once articles are saved, you are able to access them off-site.